I loved this quote I’ll stop wearing black the day they make a darker color IKEA Livet Hemma used in their email this morning. 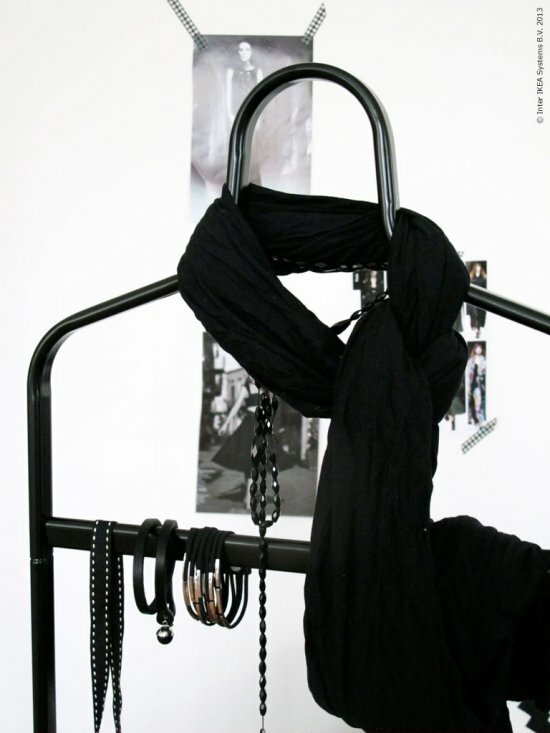 Black is an ongoing trend, both in fashion and interior design, along with pastels and blue. Remember I used this wonderful blue in the colortrend I made some time ago. 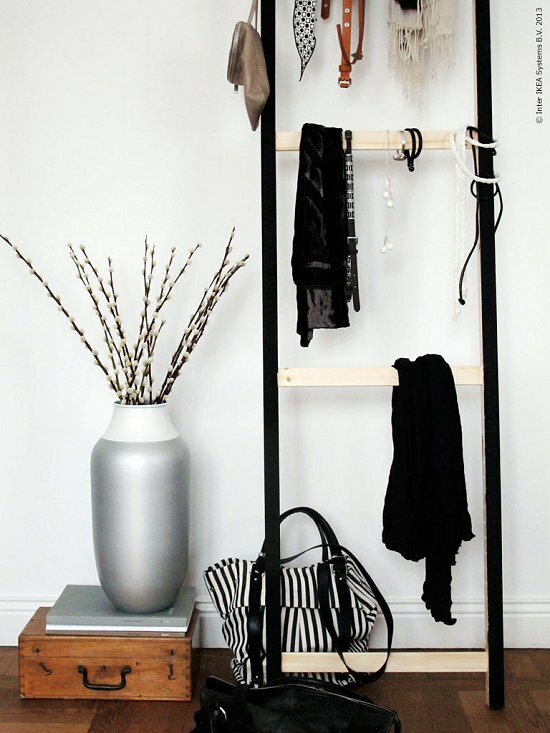 On the picture a nice DIY Idea with an IKEA mulig valet stand, painted in stylish black. Also the painted shelving unit stand seems like a great idea that you could use in the bedroom or hallway. Next to these DIY Ideas from our Swedish friends, I also found some new products in my inbox today. 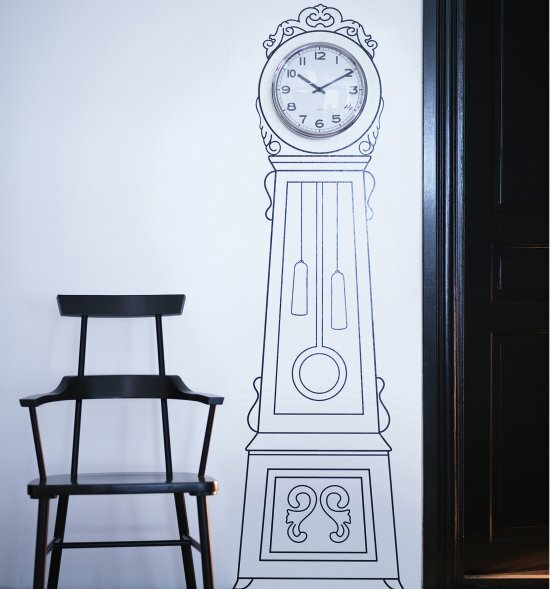 This huge sticker will hit the shops soon... now I am not a lover of clocks in my home... to be honest I hate ticking clocks as the make me think of long sits in boring rooms and not being able to escape because it wouldn't be polite to do so... But I thought the chair was really nice and black!